Dr. Angela Park is Area Coordinator of Music Education at the Conservatory of Music. Dr. Park is responsible for teaching music education courses such as Introduction to Music Education, General Music Methods, Music for Children, Elementary Music Workshop, and Strings Workshop. In addition, Dr. Park enjoys teaching Music Appreciation each semester to non-music majors on campus. 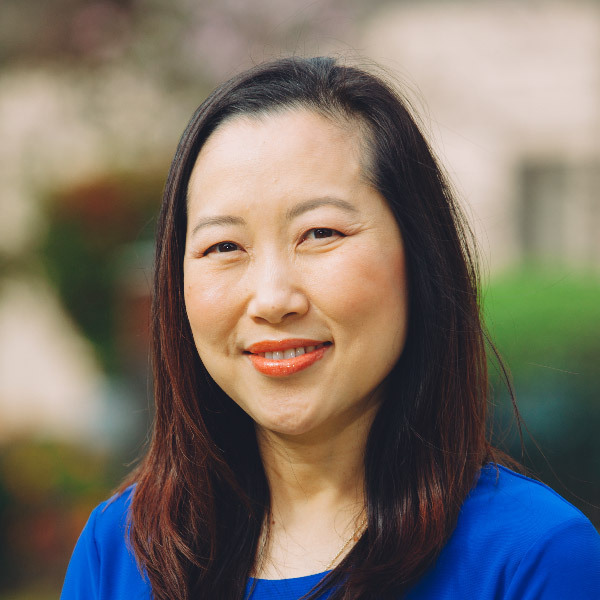 Prior to working at Biola University, Dr. Park served at the collegiate level as adjunct faculty teaching Music Fundamentals, Music Appreciation, Strings Methods, and graduate level elementary music pedagogy classes. She has taught K-12 general and instrumental music in the states of Washington and California. Dr. Park received her D.M.A. in Music Education from the University of Southern California, M.M. in Music Education from the University of Southern California, and a B.M. in Cello Performance and B.A. in Music Education from the University of Washington. She currently holds membership with the National Association for Music Education, California Music Education Association, and Southern California School Band and Orchestra Association. Dr. Park’s research interests include early string education, innovative teaching strategies, and online teaching and learning.